We now have full stock of the NEW TF Gear Rig for Sea Fishing! Alan Yates has used his vast experience at top level fishing to come up with this range of tried and tested sea fishing rigs to cover most situations from both beach and boat. All rigs are hand tied to the most exacting standards using the highest quality components and materials. All rigs come ready wound on foam storage winders to minimising the chances of tangling. These winders make taking the rigs off and winding them back on a quick, easy and tangle free. 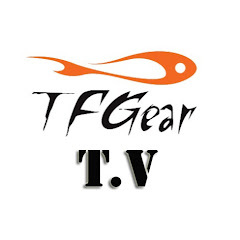 Available in 16 different make ups these TF Gear sea rigs will cover most aspects and methods of your sea fishing and are set to be a valuable asset to your sea fishing tackle. Our Price – Just £2.50!